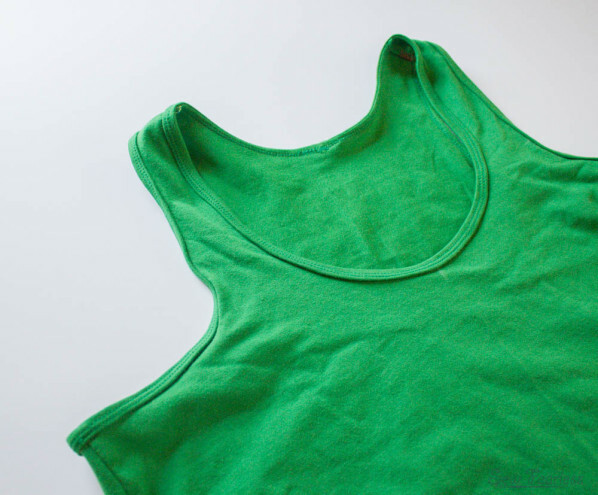 I feel like these tank tops where a sewing break through for me. 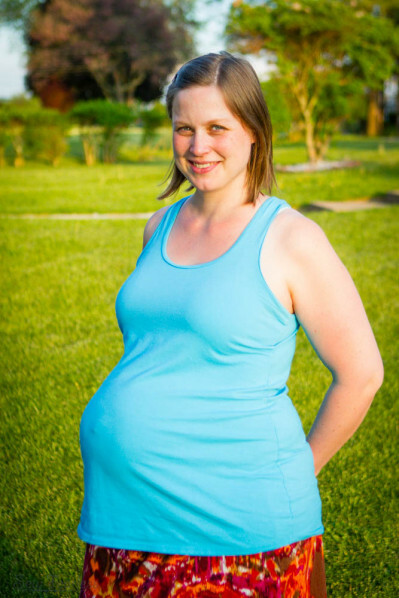 I had a major void in my maternity wardrobe and in less than two weeks I had filled it with 5 shirts. 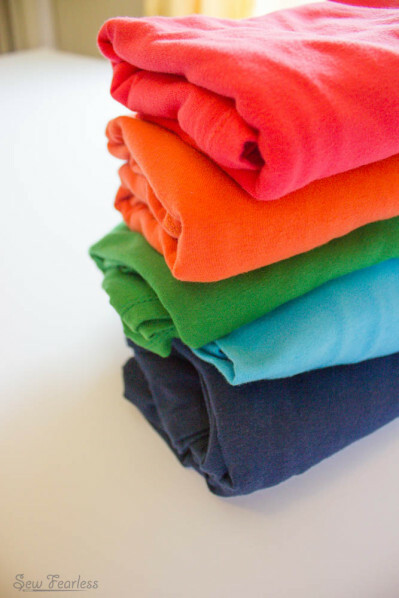 That is the beauty of having small but strong arsenal of basic wardrobe patterns. Any wardrobe deficiencies can be quickly remedied without the drudgery of muslining and fitting and fitting and muslining. After I had my fabrics in hand, it only took a week sewing and I now have 5 new tops that I am wearing on a daily basis. And I am not exaggerating when I say daily. I’ve been instagramming my outfits for “Me Made May” and it’s been kinda boring because I wear a variation on this outfit in every single post. But the thing is I am wearing a handmade item every single day, and when I dedicated myself to learning this craft 9(?) years ago that was an unthinkable goal. Yet, here I am. So, boring? yes. Practical? deeply so. And it’s the only way I’ve been able to survive this freakishly hot weather with 30 weeks of baby attached. The discovery of using rainbow variegated thread in the loopers of my overlock also played a huge role in the success of this project. I don’t mind rethreading the needles, but the thought of switching all four threads every time I switched projects was enough to make me avoid using the serger all together. The thing is the looper thread is never seen from the outside, and technically it doesn’t even need to match. 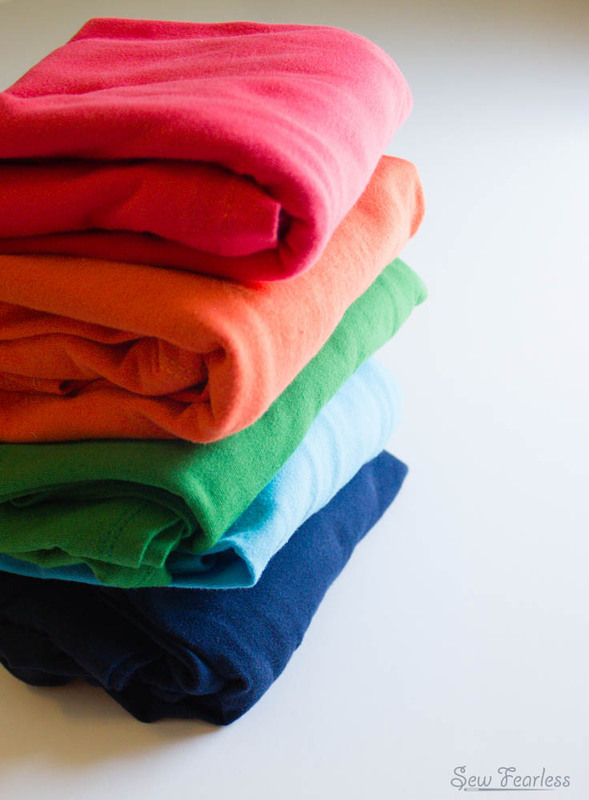 I could have used navy blue in the loopers for all my shirts, and they would have been just fine from the outside, but by using rainbow thread, laziness becomes a design choice. neat hunh? 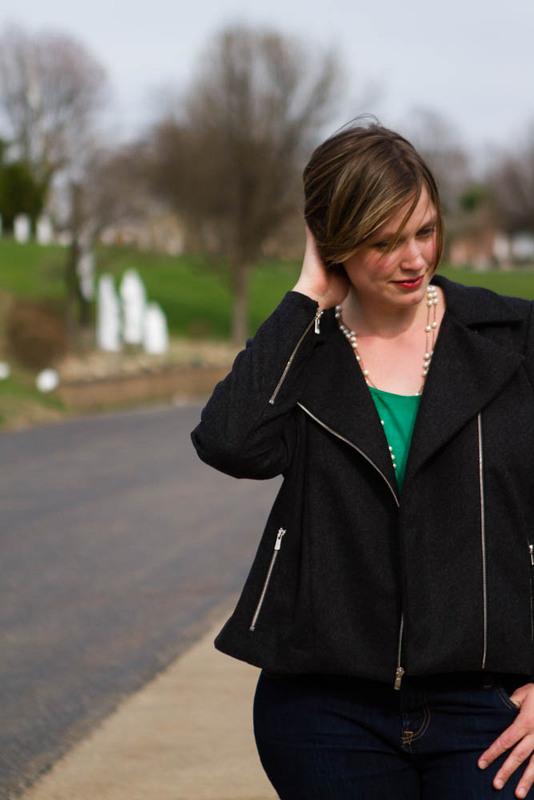 Maternity adjustments are fairly straightforward when using knits with good stretch. 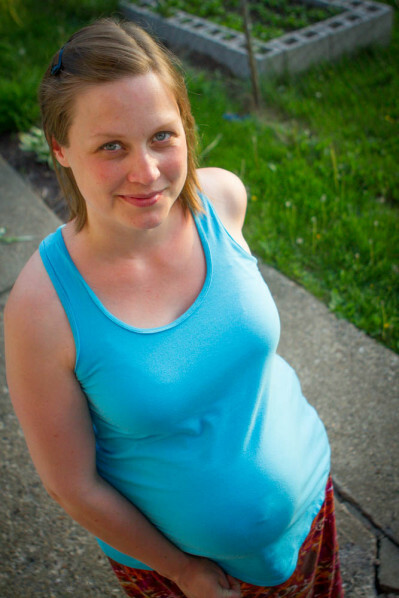 I’ve been wearing my Jalie Raglan tees for most of my pregnancy, and I found that the only thing those shirts are lacking during this final trimester is length. 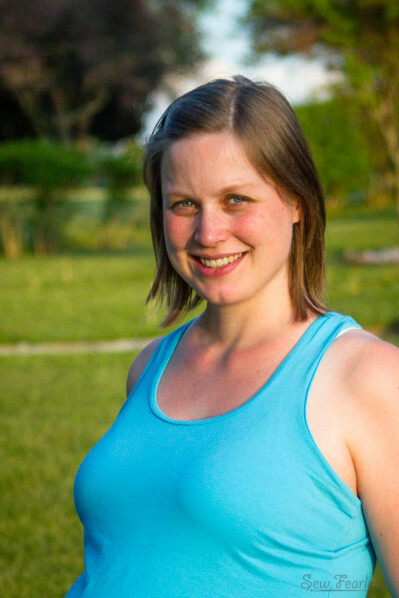 So, I translated my pre-pregnancy adjustments from the raglan to the racerback tank and added even more length. 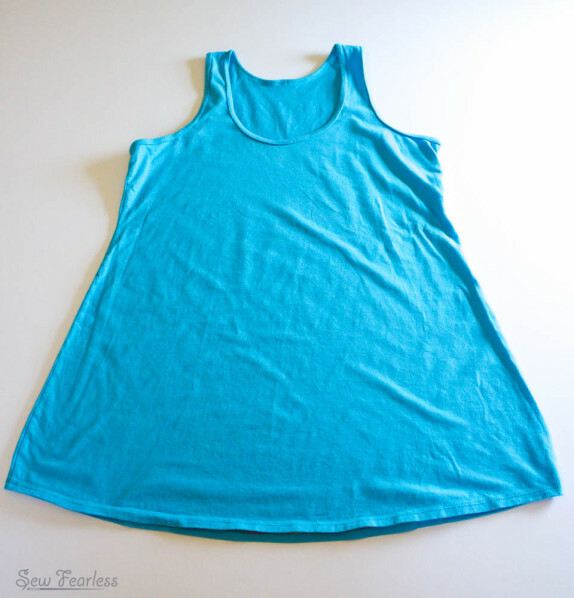 The length of the tank made the curved hem look funny. So, I raised the center front/back of the hem 1.5 inches to straighten it out.. If you didn’t see it, I have already shared a tutorial about the lovely binding method in this pattern. You can find that here. Lovely tanks and pics! I love all your thoughts on this. I am definitely going to get me some of the rainbow thread! What a great idea! I’m working on this pattern right now. You’re beautiful, glowing, beautiful. Greetings from Serbia. Yes! I am currently enormously pregnant as well and that stack looks like the ultimate in maternity comfort. Nicely done. I love the rainbow thread, too. As my husband says, it’s not laziness, it’s efficiency! 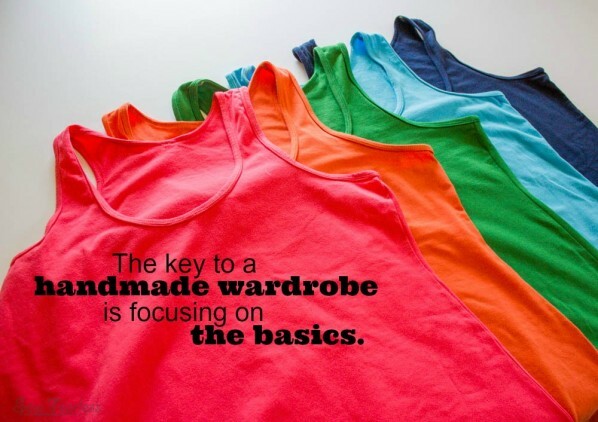 =) I love to sew basics with a twist, but I never made it to your level of production. Nicely done! Love the tops and the idea of rainbow thread. Brilliant! These are adorable and you look WONDERFUL!! 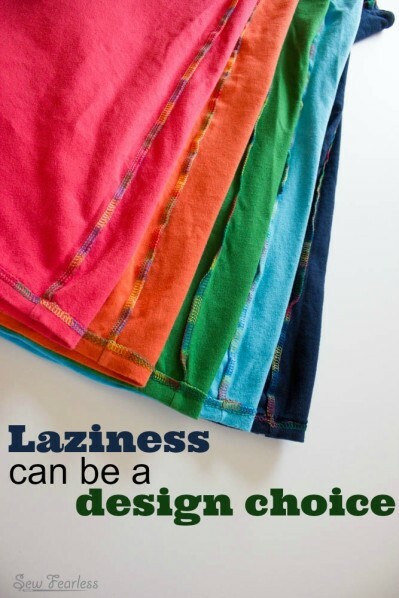 I laughed out loud at “laziness can be a design choice.” Totally. Particularly when heavily pregnant with baby #6. 🙂 Can’t wait to get a serger so that I can try your tutorial for the binding, it looks fantastic!